What Is Bar Bending Schedule? 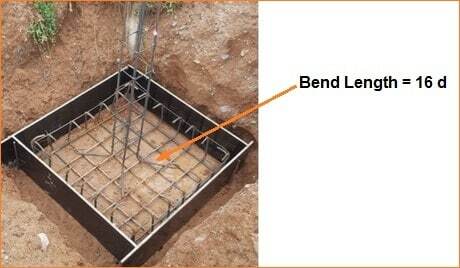 Bar bending schedule commonly known as BBS is one of the most important terms in Civil Engineering. Because it plays a vital role in building construction. Like other building materials estimation of steel is also required for constructing a building and here BBS comes with an easy solution. Bar bending schedule provides the reinforcement calculation and some other important details such as bar mark, bar diameter, bar shape, cutting length, number of bars, the weight of bar, total weight of steel etc. So that we can order the required amount of steel in advance. Long years back when there was no today’s bar bending schedule, certain recommendations given by Prof. BN Dutta were used for estimating steel for different components of a building. But these are now backdated (not wrong) and we don’t use them in today. Because No accurate values were specified if we use more bars in a single member. Nowadays we are constructing 150+ floors building. It is now possible with our modern techniques, equipment etc. Estimation of steel becomes easier because of BBS. Civil engineers who are working on site or freshers who are going to work at construction sites must know how to prepare bar bending schedule. In this article, I will discuss some important things used in preparing bar bending schedule. These are just the basic things. In future, I will come up with some other articles related to BBS such as BBS for beams, columns, slabs, footings etc. The hook is the extra length left at the 4th corner of a stirrup so that the stirrup retains its shape. 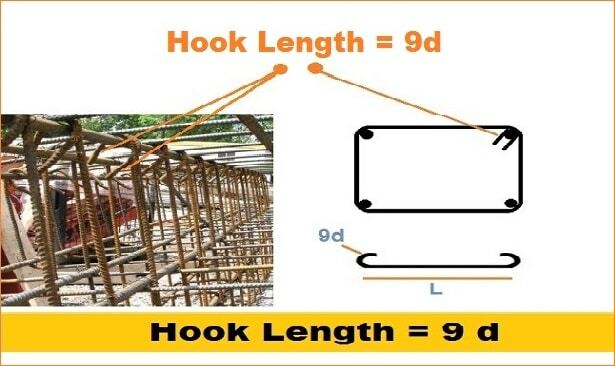 Generally, hook length is taken as 9d for one side. Where d = Diameter of the bar. Where L = length of the bar for stirrup. The bar is bent at the column end to tie with the footings. This extra length for bend is called bend length. 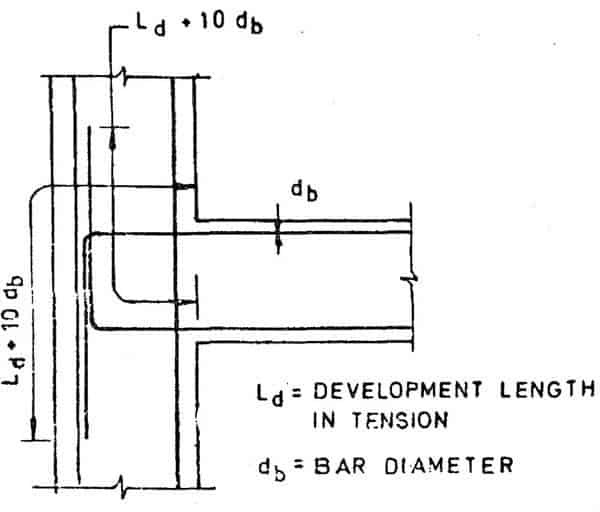 Development length is the length of bar required for transferring the stress into concrete. 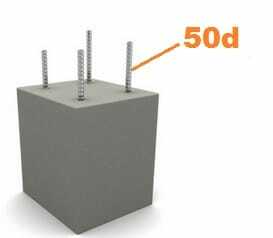 In simple words, the quantity of the rebar length that is actually required to be embedded into the concrete to create the desired bond strength between steel and concrete and furthermore to produce required stress for the steel in that area. d = Diameter of the bar. τbd = Design bond stress. Lap length is the overlapping length of two bars side by side which gives required design length. In RCC structure if the length of a bar is not sufficiently available to make design length, lapping is done. Suppose we need to build a 20 m tall building. But is there any 20 m bar available in the market? 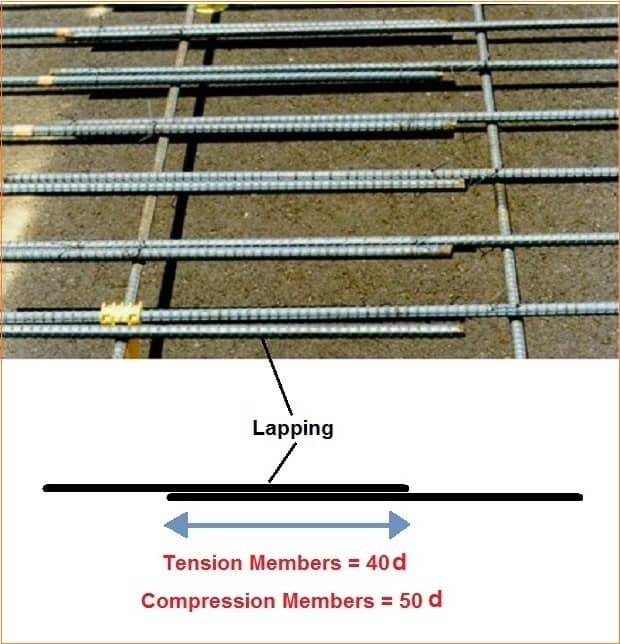 No, the maximum length of rebar is usually 12 m, so we need to join two bars to get 20 m bar. Lap length for compression members = 50d. d = Diameter of bars. Look at the image below. You may be seen this on the terrace (top floor) of buildings. This extra rebar is left for future construction purpose. I hope you understand this. Generally, bars are bent near the support at an angle of 45°. The angle of bend may also be 30° in shallow beams. The purpose of bend near the support is firstly to resist the negative bending moment which occurs in the region of the support and secondly to resist the shear force which is greater at the support. Crank bars are mostly provided in slabs. Where W = Weight of bars. L = Length of bars in meter. W = 16² x 20/162 = 32 kg. 1-what is the quantity of bar bending can be done per day KG’S? 2-what is the quantity of shuttering per day IN M2? 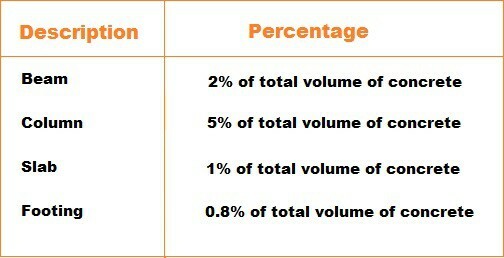 3-what is the quantity of blocks work per day in NO’S? How to estimate building construction cost .